May 8, 2011 – At 21:45 Stations 2 & 4 were dispatched to the area of 14 Fritz Reed Avenue for a possible brush fire. Crews searched the areas around the “Island” and Saint Ambrose Cemetery and found no fire. It was believed that the caller saw a SAPA cooling tower producing steam. All units were placed available by Chief 723 (Donatti). 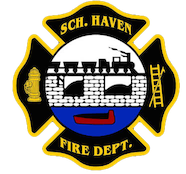 May 8, 2011 – At 20:21 The Schuylkill Haven Fire Department Rapid Intervention Team (RIT) was dispatched to the area of I-78 MM25 (West Upper Tulpenhocken Township for a structure fire. Just as E-733 and Squad 739 hit the road, all units were cancelled by fire command. May 5, 2011 – At 18:14 Station 1 was dispatched to 153 RailRoad Street, Cressona for a vehicle accident with injuries. Rescue 726 arrived on scene and assisted EMS with patient care and packaging for a possible flight. Station 4 was then dispatched for E-737 to setup a landing zone at 298 Graeff Street (Cressona Little League Field). However, the flight was then cancelled by EMS and all Schuylkill Haven units were placed available. Photo via CressonaFire.com. May 4, 2011 – At 20:22 Station 1 was dispatched for Ladder 725 along with Fire Districts 56, 47, 42, and Pottsville RIT to 209 N. Warren Street, Orwigsburg Borough for a possible structure fire. Station 1 arrived on scene with Ladder 725 and used the aerial to check the chimney for fire and extension. However, nothing was found and all units were placed available by Chief 56. May 3, 2011 – At 12:21 the Schuylkill Haven Fire Department along with Ladder 51 (Pottsville) was dispatched to 678 Clairmont Avenue in the borough for a mobile home fire. Chief 735 (Motko) arrived on scene and confirmed a working fire. Crews from Stations 2 & 4 arrived first and pulled two 1 3/4 lines from E-732 and immediately began an attack. 41-17 was then requested from Cressona for additional manpower as crews conducted overhaul operations on the structure. Due to the quick response a great hit was made on the fire saving most of the homeowners interior contents. All Schuylkill Haven units remained on scene for approximately 1.5 hours. Chief 735 had command. Photos via Coal Region Fire. At 17:37 Stations 2 & 4 were dispatched to 9A Earl Stoyer Drive to setup a landing zone for incoming LifeFlight 5. Crews arrived on scene and secured the area for the “bird” to land. Fire personnel assisted with patient care and transport to the helicopter. All units were placed available shortly after LifeFlight5 was in the air.